Read Paul Checkley-Clinical Director at Musicians’ Hearing Services contribution to the Independent’s article on how likely are you, as someone who might enjoy going regularly to gigs and nightclubs, to get tinnitus. Read the original article on the Independent website or read below. 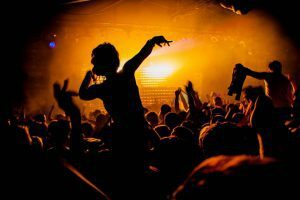 How likely are you, as someone who might enjoy going regularly to gigs or nightclubs, to get tinnitus, the hearing condition where the high-pitched ringing in your ears after a night of loud music becomes a permanent, often debilitating reality? The question is an increasingly relevant one for clubbers and festival-goers as high-profile cases of the condition, and a greater understanding of the dangers, if not any reliable cures, have yielded a string of awareness-raising: long features in music magazines, discussions in online music forums and artists affected speaking out, from Larry Heard to Forest Swords to Debonair. Tinnitus happens as follows: when your ears are exposed to loud noise, the many hair cells in your cochlea, the coiled spiral tube in your inner ear, get “trampled on”, like blades of grass trampled on by shoes. A night of heavy noise results in excessive trampling, and before these hair cells grow back, the cochlea’s ability to send noise signals to the brain is weakened. In response, your brain actively “seeks out” signals from part of the cochlea that still work, and these signals can become over-represented in the brain – this is the imaginary ringing or buzzing noise in the background, or “phantom auditory perception”. This is why after a night of intense music in a club or at a gig, you can hear that ringing for a day or two as the hair cells in your cochlea grow back. Eventually, with enough instances of trampling, like grass, at some point they don’t grow back and the ringing is permanent. Every tinnitus sufferer’s ringing is different – it can be hissing, bleeping, a metallic clanging. While the effects of tinnitus do usually dampen over time, it can cause sleep problems, stress, anxiety and depression, in the most severe cases. Around 600,000 people in the UK suffer from tinnitus, and though there are plenty of treatments to help deal with the effects, there are as yet no reliable cures. But at what level of loudness does noise start trampling your ear’s hair cells? An oft-quoted warning is that after exposure of a 100db sound source of over 15 minutes, your ears are “at risk”, whether that be to tinnitus or other types of hearing damage. Sound is measured logarithmically, so for every 3db increase in noise level, the “safe” exposure time is halved. Given the music at most nightclubs and gigs will be comfortably between 100 and 110db if you are near the speakers – a digital decibel reader above the DJ booth at Corsica Studios in South London measures around 105db consistently for hours on end on a typical night – this isn’t hugely helpful, given no-one wants to be taking breaks every 15 minutes. That 15-minute, 100db warning is European Union health & safety regulation for employees in high-noise work environments. The ability for a punter to move further away from the speakers is greater for gigs over nightclubs, but for those who want to enjoy dance floors of that decibel level for long periods, unpicking what the nature and severity of this “at risk” danger is a notoriously elusive exercise. The frustrating fact is that there is no particular level of noise for any given person that will guarantee tinnitus, and it is different for every raver. One person can go to Fabric for eight hours every weekend for many years and their cochlea’s hair cells always grow back after trampling, while their best friend can contract tinnitus from a single half an hour of Section Boyz at the O2. Audiologists, in a 2009 review of the research on susceptibility to noise damage, refer to this as “one of the most remarkable features” of noise-induced hearing loss, an extreme “interindividual variability” that means two people exposed to exactly the same level of noise can have wildly different reactions in their ears. The primary factor that determines a person’s susceptibility is genetic. There is some evidence to suggest that certain environmental factors, such as high blood pressure, high levels of cholesterol, and smoking, contribute to the risk factor – however the causal link is yet to be defined clearly. And unfortunately there is also no more than a tenuous link between a healthy lifestyle and avoiding tinnitus; consumption of alcohol and drugs do not increase the risk of tinnitus themselves, only doing so indirectly by making us lower our perception of risks of those around us, whether that be excessive exposure to loud noise or the possibility of being hit by a car if you stumble drunkenly into a busy street. It is not crystal clear the exact genetic determinant of a person’s susceptibility, though researchers are starting to have some idea. In work done by Action on Hearing Loss, five genes were identified that influence a person’s sensitivity to tinnitus and noise-induced hearing damage in general, related respectively to the supply of potassium, and antioxidants, in a person’s ear. Potassium flows into the hair cells to send information to the brain about noise coming in. Hair cells also produce toxic, oxidised by-products called ‘free radicals’ when they use a lot of energy, and the cells’ process of neutralising them can be overwhelmed. Genes involved in both the recycling of potassium within the cochlea and the process to deal with ‘free radicals’ determine a person’s susceptibility to noise. However, there’s unfortunately no accessible way to identify a person’s genetic strands that relate to these functions. Knowledge of these processes may be useful in future to develop drugs that target toxic by-products or the deficiency of potassium in the cochlea after a person has suffered noise damage, but so far the drugs are yet to be developed in a reliable way that does not produce harmful side effects. Can we at least test how damaged a given person’s hair cells are – how much pre-tinnitus trampling they have endured? The most useful test, says audiologist Paul Checkley of Harley Street Hearing, is something called an ‘otoacoustic emission test’, which can show hair cell damage over the respective frequencies for people with early signs of tinnitus. However, it does not reliably measure cumulative “trampling”, and is also not hugely accessible as an informative check-up – appointments and referrals are typically required. The ability for most people’s hair cells to grow back in their first few years of partying, coupled with the ignorance over the long-term resilience of an individual person’s cells, allows a situation where ravers simply hope they aren’t one of the unlucky ones, and trust the ringing will continue fading away a day after every new exposure. However, many dedicated ravers are becoming socially accustomed to the most reliable significant preventative measure, of wearing ear plugs in nightclubs, especially given the availability of a wide range of options of high-end plugs that do not diminish the immersiveness and quality of sound. Taking breaks, says spokesperson for Action on Hearing Loss Gorki Duhra, is also key, as persistent exposure without breaks denies your cochlea’s ability to regrow hair cells. Going for a cigarette break every hour is, conveniently, being kind to your ears. Before the research on genetic susceptibility and reliable cures develops further, such preventative self-care is a wise idea.